Hi All! 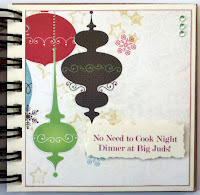 I wanted to share a coupon book that I made for my mom for Christmas...had to wait till all the gifts were opened before I could share :) I took a small 7 Gypsies chipboard album and covered it with Little Yellow Bycicle Poinsettia laser cut border paper which is simple but pretty and attached a digital stamp from Tiddly Inks aptly named Check My List Twice, which I adore! I colored her with Copics and added some Stickles on her dress and hat for a little bit of sparkle and dimension. The cover still needed a little something so I pulled out some pearls from my stash and randomly attached them to the center of a couple of the poinsettia's...add some little red knots in ribbon to the binding and it was picture perfect! Once the cover was done I took some Bo Bunny Christmas paper from last year in a few coordinating patterns and cut some squares that would fit nicely on each page for a background. With my computer I printed out what the coupons would be and attached those to each page with Pop Dots for dimension. 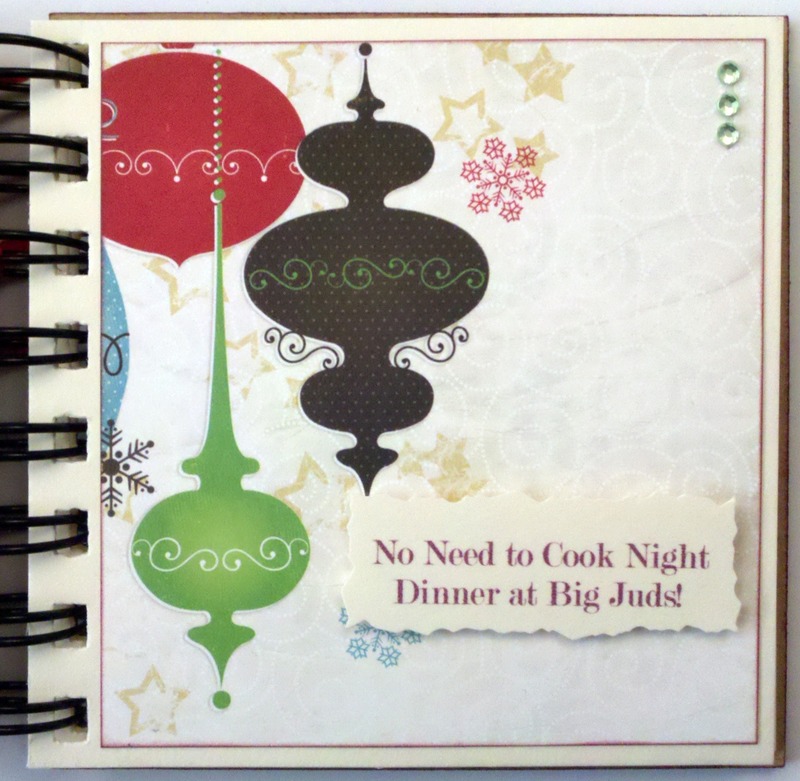 Then on each page I went back through and added a little bit of bling, as was appropriate, and the project was complete. My mom loves handmade gifts, and anything that gives her time with her daughters, but this year was extra special because, as some know, my mom suffered a house fire this summer and her house had to be rebuilt. She had mentioned that they gave her back the gift I gave her last year but it did have water damage...so I was so glad that I could make her something new to hold on to. And after a wonderful holiday spent in her newly redone house it was an extra special Christmas this year...it truly is a wonderful time of the year!